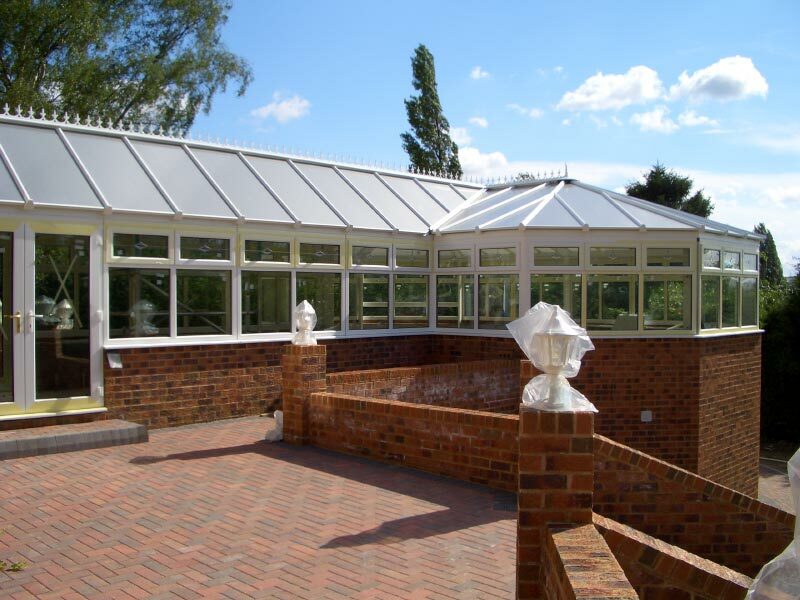 If you have a large detached house and would like a conservatory, then we would recommend a p-shaped conservatory. It can come in a variety of styles and can be used as 1 or 2 separate rooms. You can choose to have your conservatory built in uPVC or aluminium. A dwarf wall can be built around the bottom of the conservatory or if you prefer, it can be all frame with double or triple glazed glass. Please take a look at our gallery to see the wide range of p-shaped conservatories we have already designed and built for our customers in Essex. Again this conservatory is built with only the best security system and locks.